Vitamin D is a group of fat-soluble steroid-like biochemicals that have one known responsibility in human health–enhancing intestinal absorption of calcium and phosphate, minerals which are necessary for bone development and bone health. In humans, the most important D vitamins are vitamin D3 and vitamin D2, both of which can be ingested from dietary sources, including fishes, milk products, and many other foods. However, the body can synthesize vitamin D’s in the skin when exposure to sunlight is adequate. Because humans can produce their own vitamin D, it is not strictly considered an essential dietary vitamin, which are vitamins that cannot be synthesized in sufficient quantities by an organism, and must be obtained from its diet. Even though supplementation is necessary for people who aren’t receiving adequate levels of vitamin D through either sun exposure or diet, excessive intake of the vitamin causes a condition called hypervitaminosis D. Excessive vitamin D can lead to acute problems, like excess thirst or increased urination, but over a long-term can lead to heart disease and other chronic conditions. Despite the understanding that vitamin D has only one real function, regulation of calcium and phosphate uptake, that hasn’t stopped the junk medicine pushers from making all sorts of claims about its usefulness in human health. In fact, recent studies have shown that vitamin D doesn’t reduce the risk of breast cancer, one of the more popular myths about the vitamin. Because of vitamin D’s role in controlling calcium and phosphate uptake, there was always a belief that it might have a role in reducing hypertension. But a recent study has shown that vitamin D has no effect on controlling hypertension. The study included 159 participants (mean age of 77 years) who were randomized into one group that was given 100,000 units of oral vitamin D for a year, or into a placebo group. The study examined blood pressure, 24-hour blood pressure, arterial stiffness, vascular endothelial function, cholesterol level, insulin resistance (a sign of Type 2 diabetes), and b-type natriuretic peptide levels (which measures prior acute heart failure). The patients included in the study all had hypertension, with systolic blood pressures of greater than 140 mm Hg, and diastolic blood pressure of less than 90 mm HG), along with low baseline levels of 25-hydroxyvitamin D levels less than 30 ng/mL. The study parameters were well designed to exclude individuals that might already be supplementing with vitamin D.
The results showed that the blood pressure of patients, who were assigned to take vitamin D, was about 1% lower than it was before they started taking the vitamin D supplement. That drop was statistically insignificant, and even if it were, it would not be considered clinically significant, since the patients would be still considered to be hypertensive. In addition, the study found no significant treatment effects from the vitamin D for secondary outcomes (24-hour blood pressure, arterial stiffness, endothelial function, cholesterol level, glucose level, and walking distance). And once again, we find another supplement that has no particular usefulness beyond what is originally known: uptake of calcium for bones. Maybe someday we’ll find a supplement that will allow us to make a claim that it cures this or that or prevents this or that, but so far, we aren’t finding a lot. I still contend that human physiology, particularly the immune system, is so complex that it self regulates without a lot of intervention. As long as you’re in generally good health, with no chronic or acute diseases, human physiology has long ago adapted to a highly variable and stressful environment. 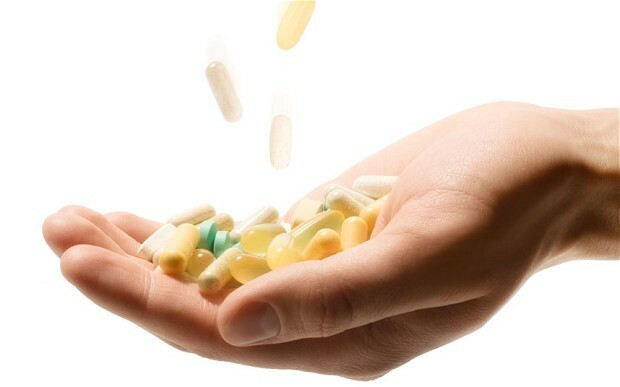 Don’t waste money on supplements, unless you have a specific and diagnosed medical need. That’s the simple recommendation. Demer LL, Tintut Y. Vascular calcification: pathobiology of a multifaceted disease. Circulation. 2008 Jun 3;117(22):2938-48. doi: 10.1161/CIRCULATIONAHA.107.743161. Review. PubMed PMID: 18519861. Impact factor: 15.202.